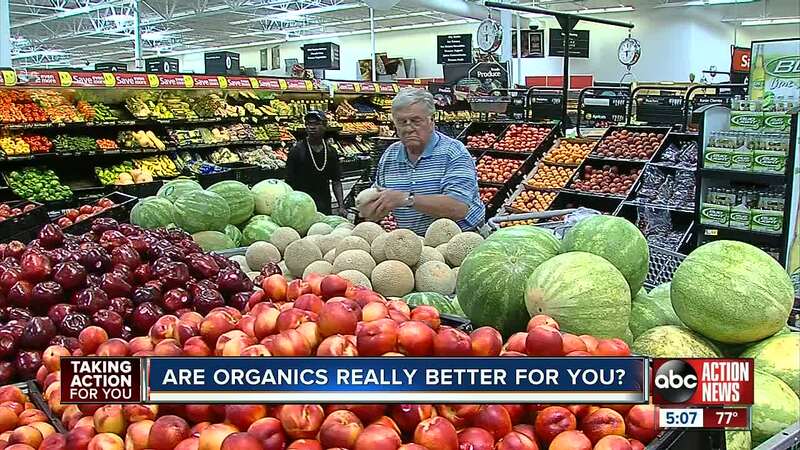 While organics are great for the environment, there’s no added benefit to shelling out the extra money if you’re buying organic strictly for health reasons, according to Roberts. Organic meats cost more because the animals are typically free-range and don’t have growth hormones or antibiotics. “When we are talking about health, there’s no difference in the conventional product (and organic),” said Roberts. Shoppers are also hit with a plethora of choices – organic, all-natural and non-GMO – but not all of those labels are verified by the USDA for accuracy and honesty. Only products with the USDA Organic stamp are certified organic foods. But Roberts advises shoppers to look past the organic stamp and pay closer attention to the nutrition label – looking for foods lower in sugar and carbohydrates.